While yesterday’s decision by the big four banks to dump controversial ATM fees has been met with applause, it’s just the tip of the iceberg when it comes to bank fees. 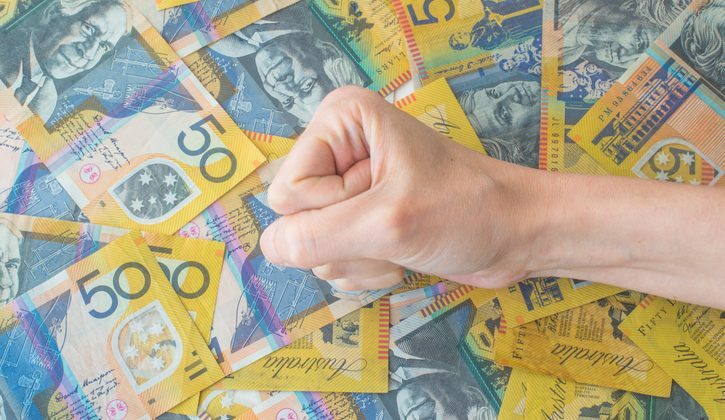 RateCity analysis of RBA data has revealed Australians collectively shell out $4.4 billion in bank fees every year, across home loans, credit cards, savings and transaction accounts. RateCity money editor Sally Tindall said many of these fees can be avoided by shopping around. “Our research has shown the average mortgage holder forked out almost $500 on banking fees last year, including an estimated $240 a year in home loan fees and $231 in credit card fees, totaling $471. Collectively, Australians have been charged $1.56 billion in credit card fees, $1.24 billion in home loan fees and $1.06 billion in transaction account fees, according to RateCity analysis of RBA domestic banking fee data. “There’s no need for Australians to be laboured with fees on their credit cards, home loans and transaction accounts when there are a range of fee-free alternatives on offer,” Ms Tindall said. There are 31 credit cards on the market that have absolutely no annual fees, so there’s really no reason to be coughing up this extra money year after year. Rewards cards in particular attract the biggest fees – the highest being an unsightly $1,200 a year. Average fee: $130, maximum: $1,200. It may surprise you but paying ongoing fees on your home loan is far from inevitable. While the average annual fee is $339, there are almost 1980 products that don’t have any. Home loans are full of hidden fees, so before you take one out, ask your lender for a complete rundown of the fees you’ll be expected to pay over the life of the loan. Knowing they exist up front will help avoid a nasty surprise later. Average: $339 a year; maximum: $849 a year. Sometimes transaction accounts will sneak in a monthly account keeping fee which is small enough that it slips by relatively unnoticed. However, these fees are entirely optional – there are plenty of no-fee options available with the same functionality as their fee-based counterparts. The transaction account with the highest monthly fee in RateCity’s comparison chart comes in at $35 per month, so by switching to a no-monthly-fee account you could be saving up to $420 a year. Average: $55 a year; maximum: $420 a year. Overdrawn fees are charged on your transaction account when you accidentally take more money than what’s in it. This is most likely to happen for a scheduled direct debit so it’s wise to set up a reminder at least two days beforehand to check you have enough cash to cover it. These fees can climb as high as $40, and although they are less common than they used to be, we haven’t quite seen the back of them entirely. Average: $11; maximum: $40 (every time you go over). If you’ve racked up some debt on your credit card, then a 0 per cent interest rate balance transfer card can be a way to buy yourself a bit of time. What’s important to remember with these cards is that one way the bank makes money is through a handling fee that will be a percentage of the amount transferred, usually around 2 per cent but can climb as high as 3 per cent. There are 148 cards on the market that don’t sting you with this additional fee, so be sure to check whether prospective lenders include this before signing the dotted line. Average cost on a $10,000 balance transfer: $165; maximum: $300. There are currently eight credit cards charging no currency conversion fee. Do your research before you leave and you’ll have spare cash to splash elsewhere overseas. Average: $29; maximum: $36 (per trip, based on a $1,000 spend on your credit card and use of the ATM four times).